Before installing the demo content, it is strongly recommended to install recommended plugins and also delete any existing content on your site that is not required including Posts, Pages, Comments and Widgets. All of our child themes come with the sample content used in the demo. Once the theme and recommended plugins have been installed you are ready to upload the sample content. 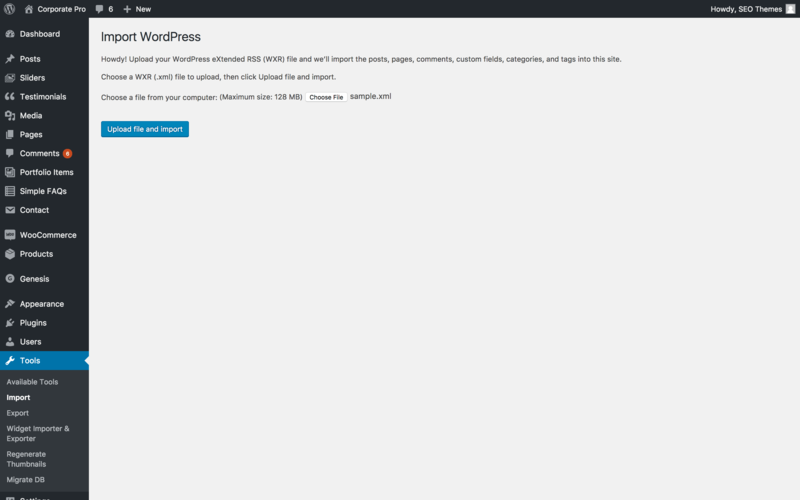 To upload the demo content navigate to Tools → Import → WordPress → Run Importer. Click Choose file and select the sample.xml file included with the theme. Follow the steps and the demo post content will be imported. If you see a 'Failed to import' notice for some items, that is normal depending on how your site it configured. Please note: Images used in the theme demo are not imported and have to be manually uploaded to posts, pages and portfolio items. Tip: Remove all existing unwanted widgets before importing demo widget content. 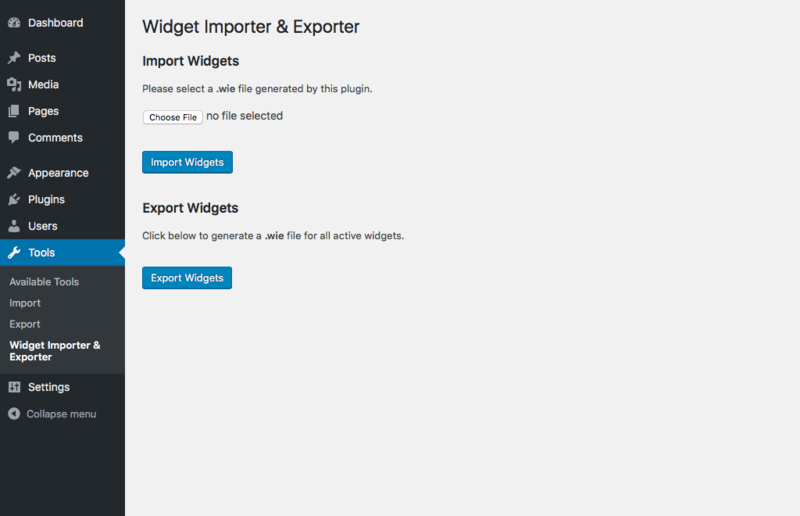 Navigate to Tools → Widget Importer & Exporter. Click the Choose file button and then select the widgets.wie file that is included with your theme then click Import Widgets. Once this has been uploaded you should see a success message of the imported widgets. You should also ensure that any existing widgets are in the correct widget area.